Looking to buy an affordable new performance car? This guide contains everything you need to know before stepping into a showroom. 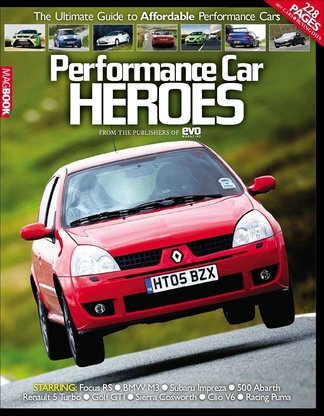 Brought to you by the experts at evo magazine, this MagBook contains the under-the-bonnet specs, no-nonsense reviews and case studies across the motoring world's most desirable models you need to get the car of yout dreams and avoid buyig a lemon! Featuring high-octane test drive reviews for the Mini, Subaru and VW and more, exhilarating drive stories and stunning photographs, this MagBook is every petrol-head's dream as well as a fail-safe car buyers guide! Be the first person to tell us what you think about Performance Car Heroes and you'll save $5 on your next purchase!